Up until now, Richardson had been a dependable Administration loyalist. A former Lieutenant Governor of Massachusetts, he’d served Nixon as Undersecretary of State, then as Secretary of Health, Education and Welfare, then briefly headed the Defense Department following Melvin Laird’s resignation. His appeal to Nixon was obvious and multifaceted. “He looked good and sounded judicious,” Fred Emery reflects. “Above all, he never stepped out of line.” There was little reason for Nixon to doubt Richardson would remain another pliable henchman. Except, perhaps, that Richardson was also a ferociously ambitious man harboring ill-concealed Presidential ambitions. Richardson once reflected that his career relied on riding “those random currents of air to get up, stay up and get where they want to go.” Many colleagues viewed him as unprincipled; one State Department aide called him an “over-educated, morally constipated Boston Yank.” Which side of Richardson’s character – the ambitious climber, the party loyalist or the “man of integrity” – would win out ultimately became one of Watergate’s decisive factors. After a contentious Senate confirmation hearing, Richardson named Archibald Cox as Special Prosecutor. While special prosecutors had existed since the scandals of Ulysses Grant’s presidency in 1875, there was no established procedure for their role or function. Some had been subject to the Justice Department (Grant, after appointing investigators to examine the Credit Mobilier scandal, pronounced “Let no guilty man escape”); others, like the investigators into Teapot Dome in the 1920s, were appointed directly by Congress. Richardson claimed that Cox could only be dismissed by his decision; legally, however, the situation remained murky. Especially with a President whose adherence to the rule of law remained suspect…and especially with Richardson’s contentious choice of counsel. In other ways, Cox was less than ideal. As Rick Perlstein observes, Cox represented “everything Richard Nixon hated: a know-it-all Kennedy-loving Harvard professor,” and his early moves did everything to antagonize the President. He invited Ted Kennedy to attend his swearing in, and assured Senator Robert Byrd that he would investigate “wherever the trail may lead” – even into the White House. Cox had repeatedly criticized Nixon’s record on civil liberties, and in that respect his very appointment seemed a provocation. When Nixon labeled Cox a “partisan viper…planted in our bosom,” his complaint wasn’t entirely unjustified. But then, if Nixon hadn’t committed any crimes, he never would have faced Cox. Cox’s sparring with Nixon’s Justice Department initially remained background noise to Sam Ervin’s Senate hearings (which Cox opposed, feeling they would compromise his own investigation). Then on July 16, 1973, White House aide Alexander Butterfield, dropped the biggest Watergate bombshell to date. He revealed to the Senate, and the nation, that President Nixon tape-recorded conversations in the Oval Office, a shocking secret previously known to only a handful of people. Suddenly, American realized that Howard Baker’s unanswerable question – “What did the President know, and when did he know it?” – might, in fact, have an answer. If only the public could hear the tapes, the mysteries of Watergate would unravel. Yet Nixon inevitably stonewalled, insisting that releasing the tapes “would risk exposing private Presidential conversations” and compromise national security. Requests from Senator Ervin for access fell on deaf ears; a formal subpoena met with pleas of executive privilege. Yet Nixon also ignored his aides’ pleas to destroy the tapes, making them a tantalizing yet unattainable prize. Naturally, Archibald Cox took up the unenviable task with gusto, setting President and Special Prosecutor on a collision course. Cox then demanded Nixon either comply with subpoena or “dismiss the case,” adding that if the President followed the latter course, “the people will know where the responsibility lies.” Wright responded with a veiled threat, commenting that “whether a decision adverse to the President could be enforced is a question.” Unmoved, Judge Sirica issued his decision on August 29th, requesting that Nixon turn the tapes over to him. The President responded that he’d appeal Sirica’s ruling to the Supreme Court while adding ominously that he might look for ways to “otherwise sustain” his position. Political observers sensed a constitutional crisis in the making. Meanwhile, Richardson waffled between supporting the President and defending Cox. He defended Nixon’s right to executive privilege while insisting that the Special Prosecutor was acting “in full accord with the requirements of his job.” But Richardson also felt increased White House pressure to rein in Cox, or else focus on his investigation into bribery and tax fraud charges against Vice President Spiro Agnew. Surveying the evidence, Richardson soon concluded that “Richard Nixon was more likely to be guilty than stupid.” Faced with this unpleasant realization, the Attorney General debated how far his loyalty to the President extended. That fall, Americans were temporarily distracted from Watergate by Augusto Pinochet’s coup in Chile, a new Middle East war between Egypt and Israel and the resultant spike in oil prices. Agnew resigned on October 10th, admitting guilt for tax fraud in return for a suspended sentence; Gerald Ford, the House Minority Leader, soon replaced him. The Los Angeles Times, once a staunch Nixon supporter, now sarcastically advised young Americans to go into public service so they’d have “the privilege of committing felonies.” Increasingly, it seemed like America housed no bigger felon than its President, who made his contempt for law increasingly, undeniably plain. On October 12th, the Court of Appeals upheld Sirica’s ruling, demanding that Nixon divulge the tapes to Judge Sirica. 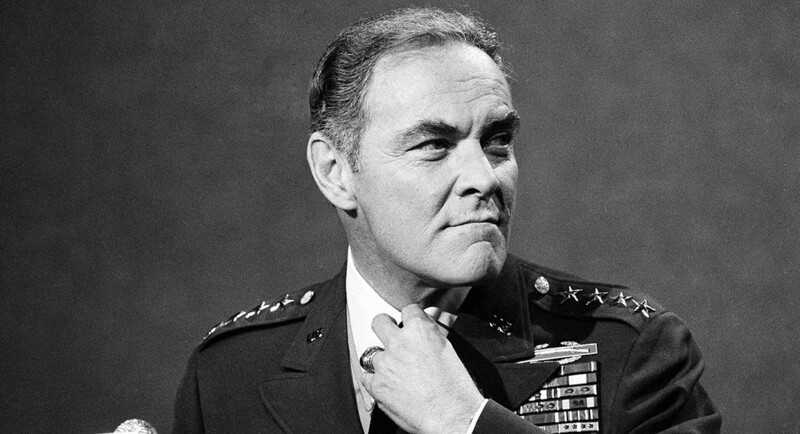 “Though the President is elected by nationwide ballot…he does not embody the nation’s sovereignty,” the court intoned: “He is not above the law’s commands.” Nixon, distracted by arranging emergency military aid to Israel, delegated the matter to his attorneys and to Alexander Haig, the pugnacious new White House Chief of Staff, who approached Richardson with a devious game plan. After discussing the Middle Eastern crisis with the Attorney General, Haig told that Richardson could play a major role in resolving the ongoing crisis. “I’ll go home and pack my bags,” the Attorney General responded, thinking he meant assisting Israel. A nonplussed Haig responded, “That’s not exactly what I have in mind,” instead laying out Nixon’s plan to fire Cox, who after all was merely “a creature of the President.” Richardson indignantly refused, saying that he could only fire Cox “for extraordinary improprieties” and threatening to resign. For the time being, Haig backed down. Saturday, October 20th dawned. At 1:00 pm, Cox gave an hour-long press conference explaining his position. “I’m not out to get the President of the United States,” he insisted, before laying out his reasons for rejecting the Stennis compromise: namely, the President circumvented accepted procedures and institutions for an ad hoc investigation. Cox disclosed a private conversation with Charles Alan Wright, where he’d told the attorney that “things…were drawn in such a way that I could not accept them.” After months of public sniping and private countermoves, Cox presented the President a challenge he couldn’t possibly ignore. Not quite the entire country. Elliot Richardson found his old professor’s performance flabbergasting; Cox destroyed Richardson’s self-appointed role as arbiter and rendered both of their positions untenable. He summoned his deputy, William Ruckelshaus, and Solicitor General Robert Bork to his office and they debated a course of action. None of them found the situation appealing; Richardson observed that he had “no desire to be a martyr” but confirmed that, if Nixon forced his hand, he would resign. Ruckelshaus affirmed solidarity with Richardson; Bork, recently appointed to his post, raged against the President putting them all in an impossible situation. Recriminations weren’t long in coming. At 2:07, within minutes of Cox’s press conference ending, Richardson received a phone call from Leonard Garment. The jovial White House counsel, kept in the dark by his boss through much of the scandal, politely urged Richardson to fire Cox. The Attorney General refused. Then Alexander Haig called Richardson a few minutes later, ordering him to do so. “I can’t do that,” Richardson said, offering his resignation over the phone. Haig insisted that Richardson travel to the White House for a face-to-face confrontation. Before leaving, Richardson perversely advised Ruckelshaus and Bork that someone must follow Nixon’s orders and keep the Justice Department intact, qualifying his own defiance. “You may have to decide if you’re going to carry out his order to fire Cox,” Richardson told Robert Bork, who reacted, per Ruckelshaus, “like somebody had just hit him in the face with a bucket of wet shrimp.” Bork, who felt the crisis unfairly placed on his shoulders (he’d barely spent any time on Watergate matters, instead preparing Supreme Court briefs), raged that “this is the fourth time in four months I’ve been faced with whether or not I’m going to resign.” With that, Richardson departed, leaving a furious Bork and dumbfounded Ruckelshaus behind him. At around 3:30, Richardson arrived at the Oval Office, finding Nixon, frazzled from managing the Middle East crisis, and Haig, coldly angry, waiting for him. The President begged with Richardson to postpone his resignation, saying that doing so amidst the war in Israel would weaken the Presidency. “Brezhnev would never understand it if I let Cox defy my instructions,” he mused. Richardson demurred, wondering why, if the war was so important, a forced, unnecessary Constitutional showdown couldn’t wait. Nixon pressed and Richardson continued to resist his imprecations. “Do you understand the consequences of your action?” Haig asked, no longer bothering to mask his fury. Ruckelshaus affirmed that he did. When Haig again argued that he had no alternative but to follow orders, Ruckelshaus angrily muttered “Except resign.” At this point, Haig demanded that Ruckelshaus put Robert Bork on the phone. He ordered the dumbfounded Solicitor General to the White House without a chance to talk back. Afterwards, Haig ushered Bork into the Oval Office. The President gratefully shook his hand, telling Bork “you’ve got guts!” and asking him “‘Do you want to be Attorney General?” “That would be inappropriate, Mr. President,” Bork said. Their conversation fizzled out, and Bork returned to the Justice Department, where he found Elliot Richardson phoning other subordinates. “I’ve never worked with anybody I’ve liked better than you, Bob,” Richardson assured the Solicitor General. Bork reciprocated the sentiment, each man wondering why their boss dealt them such a bum hand. “What troubles can you possibly have in Washington on a Saturday night?” Kissinger obliviously replied. Haig informed him, and ended the conversation. Kissinger, with typical autonomous arrogance, decided to ignore Nixon’s unclear instructions and negotiate with Brezhnev on his own terms. Across town, White House press secretary Ron Ziegler curtly announced the resignations, and Cox’s dismissal, at 8:22. Then he dropped another bombshell: “The office of the Watergate special prosecution force has been abolished as of approximately eight p.m. tonight.” Accordingly, FBI agents descended upon Cox’s office, sealing the office’s files and dismissing the prosecutor’s staff. Others closed off Richardson and Ruckelshaus’s offices from the public. Robert Bork gave a brief statement to reporters trying to explain what happened; visibly frazzled, mopping sweat from his forehead, his appearance emphasized the sense that Washington had gone mad. Indeed, the public reacted to what became instantly dubbed the Saturday Night Massacre as if Nixon had executed a coup d’etat. Ted Kennedy warned of America becoming “Chile without the bloodshed”; Robert Byrd denounced what the Massacre as “a Brown Shirt operation.” Senator Robert Packwood, an Oregon Republican, thundered that “The office of the President does not carry with it a license to destroy justice in America.” Speaker of the House Carl Albert proclaimed himself “past the point of reacting.” Impeachment resolutions found their way into the House of Representatives, setting Nixon’s downfall in motion. The press followed suit. Helen Thomas recalled the response as “trauma…You definitely felt an emptiness, a tragedy…these things don’t happen in America.” NBC proclaimed it “the most serious constitutional crisis in its history.” Time magazine, in a rare editorial, called for impeachment. Fred Emery of the London Times wrote that “there was a whiff of the Gestapo in the chill October air.” Henry Ruth commented that “I’m going to go home and read about the Reichstag fire.” Usually, likening the President of the United States to Adolf Hitler was the province of kooks and radicals. Faced with such a dramatic confrontation, Congress and the mainstream media openly did so. After Saturday’s dramatic events, Judge Sirica’s court summons on October 23rd, demanding compliance with his previous orders to turn over the tapes, came fraught with tension. Despite Robert Bork’s assurances that he would retain the Special Prosecutor’s office, nobody knew what came next. Charles Alan Wright strode into the courtroom, his defiant attitude reminding J. Anthony Lukas of Gary Cooper in High Noon, faced by eleven of Cox’s glowering staff members. Sirica asked Wright whether he was ready to comply with his previous order, fully expecting to cite the attorney (and the President) with contempt. The agonies of Watergate, of course, were far from over; yet perhaps the most serious crisis passed. Nixon, shocked by the “firestorm” triggered by his actions, backed down. He turned over the tapes, setting in motion the next round of recriminations, culminating in the public release of transcripts that ultimately doomed his presidency. Robert Bork (whom Nixon later replaced with William Saxbe as Attorney General) appointed another special counsel, former Nuremberg prosecutor Leon Jaworski, who proved no more pliable than Cox. Their combined efforts were ultimately enough to remove Nixon from office. In 1978 Congress passed the Ethics in Government Act, which among other guidelines established guidelines for protection of a special prosecutor. It codified Richardson’s mandate that a special counsel could only be dismissed by the Attorney General, buffering them from presidential fury. Yet the partisan abuse of the Special Counsel’s office during the Clinton Administration soured the public on its necessity; Congress allowed the law to lapse in 1999. Today’s situation remains especially fraught, with a President whose confirmed crimes and suspected misdeeds make Nixon look like an Eagle Scout, and an independent counsel constantly under siege by Administration allies. Many of those involved in the Massacre went on to great acclaim. Cox and Richardson became national heroes (Ruckelshaus, who remained active in Republican politics and later became Ronald Reagan’s EPA director, seemed lost in the shuffle); Cox retired and Richardson, after service in Jimmy Carter’s cabinet and several furtive attempts at reentering politics, entered private legal practice until his death in 1999. Robert Bork, in contrast, proved unable to escape his actions; his Supreme Court nomination in 1987 was derailed, in large part, by his role in the Saturday Night Massacre. Richard Nixon had a curious method of ennobling unlikely heroes and damning others to oblivion. This article draws upon: James Doyle, Not Above the Law: The Battles of Watergate Prosecutors Cox and Jaworski (1977); Fred Emery, Watergate: The Corruption of American Politics and the Fall of Richard Nixon (1994); Stanley Kutler, The Wars of Watergate: Richard Nixon’s Final Crisis (1992); J. Anthony Lukas, Nightmare: The Underside of the Nixon Years (1976); Rick Perlstein, The Invisible Bridge: The Fall of Nixon and the Rise of Reagan (2014); and Bob Woodward and Carl Bernstein, The Final Days (1976).